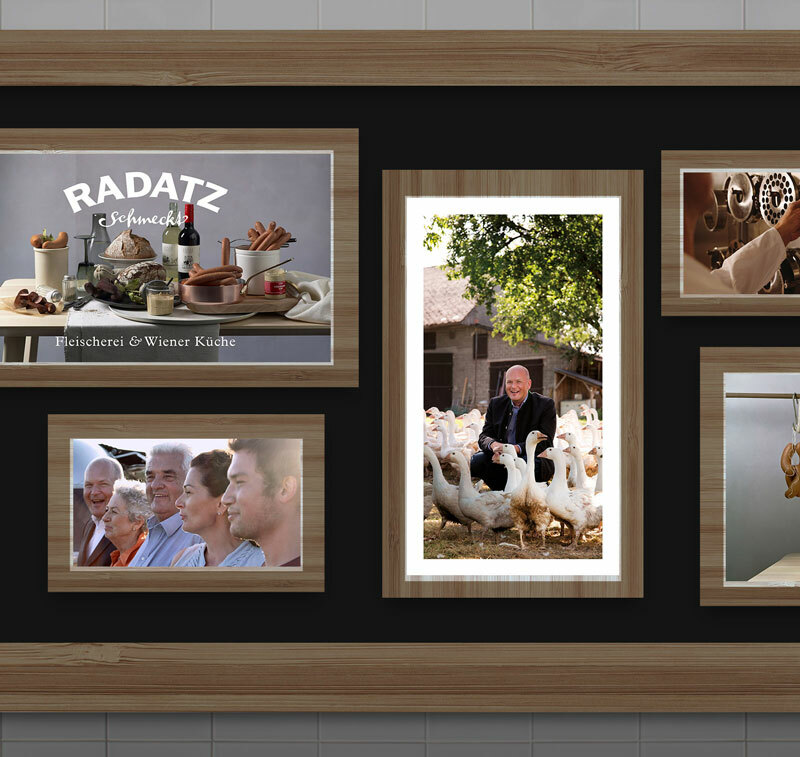 RADATZ STANDS FOR GOOD TASTE, TRADITION AND VIENNA. 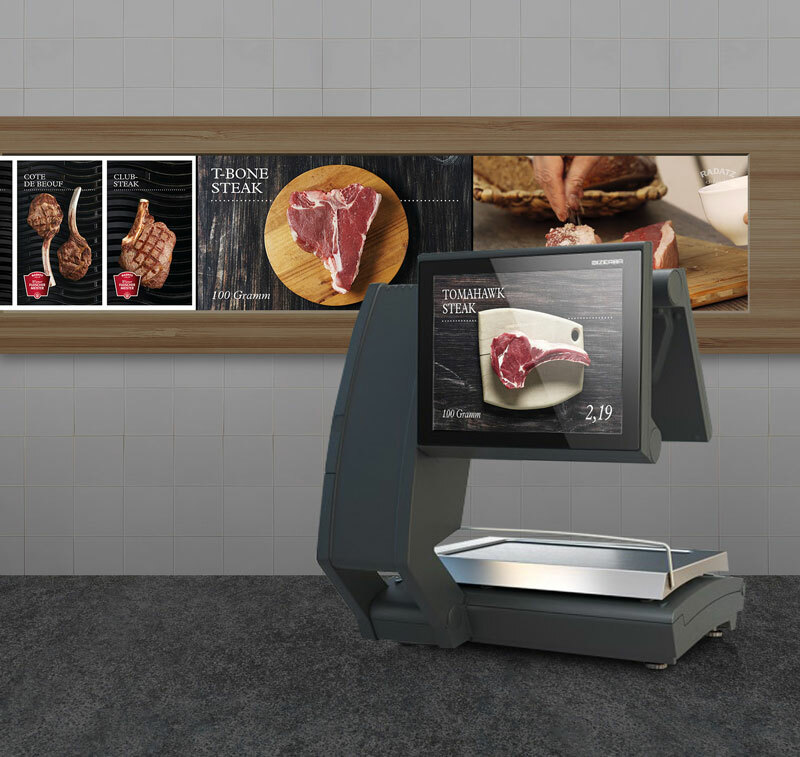 IT HAS GROWN OVER THE LAST FIVE DECADES FROM A SMALL BUTCHER’S SHOP TO AUSTRIAS LARGEST PRIVATE MEAT-PROCESSING BUSINESS AND OFFERS DELICATE FOOD TO ITS CUSTOMERS EVERY DAY. 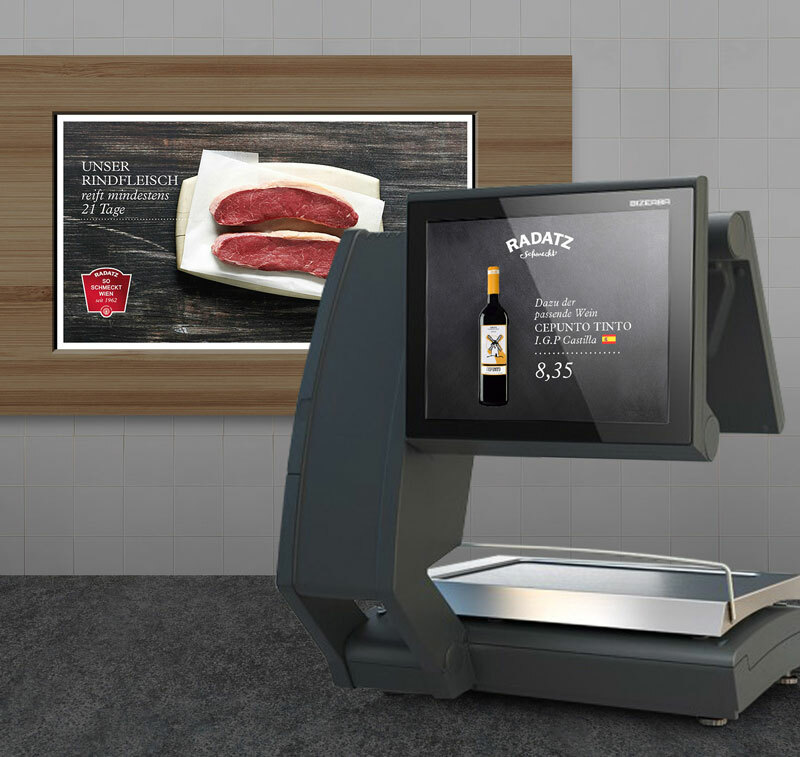 WITH THE IMPLEMENTATION OF THE DIGITAL POS-SOLUTION RADATZ PRESENTS A NEW LEVEL OF CUSTOMER EXPERIENCE AND DYNAMIC COMMUNICATION THROUGHOUT ITS STORES. … only is needed to activate alternative content if the daily menue or a promotion is sold out. Sales staff has access to the system via easy-to-use tablet-app. … are installed on average. Background-Screens, Image Walls, Scale-Screens,… all flexibly adapted to the specific needs of each location. 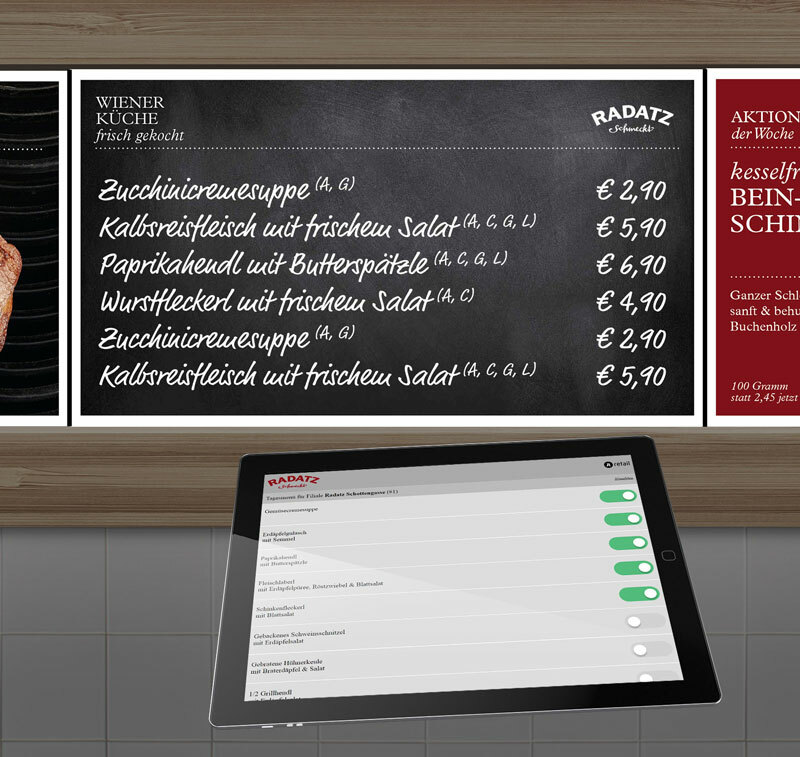 All Radatz-locations are being integrated into the digital store concept step-by-step. We work closely together with the architects to allow for an ideal customer experience. Dynamic content feed for each location... fully customized and tailored to meeti individual needs. The separation of content and design and flexible templates allow for a quick and easy automated spot-creation. Sales staff can easily control the screen-content via tablet (e.g. simply switch to alternative content if the daily menue is sold out). 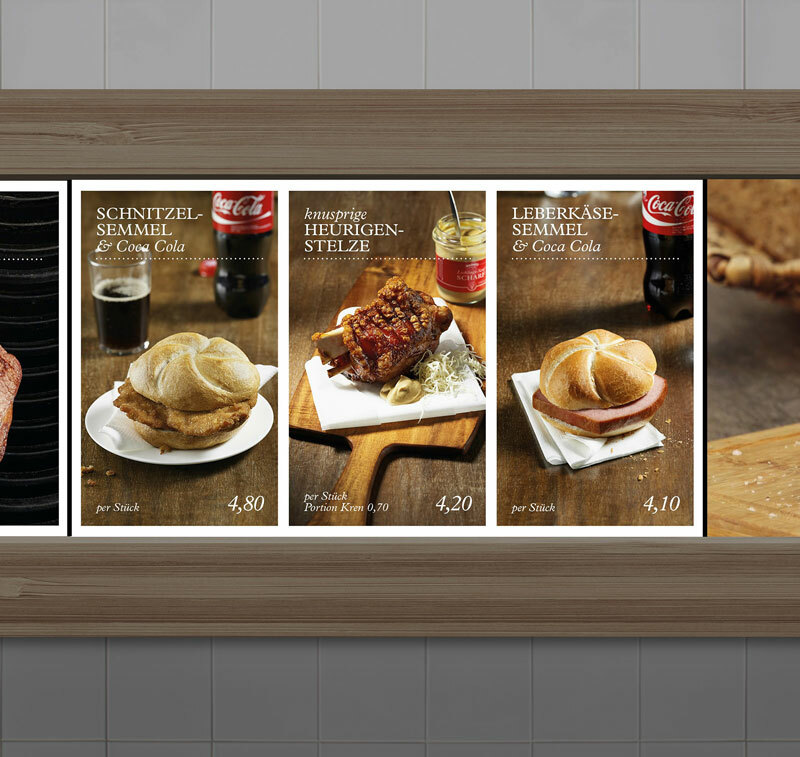 All scale-displays are fully integrated and get a direct datafeed via Digital Signage System. Blending product and promotions with image and brand compontents assure a comprehensive customer experience. 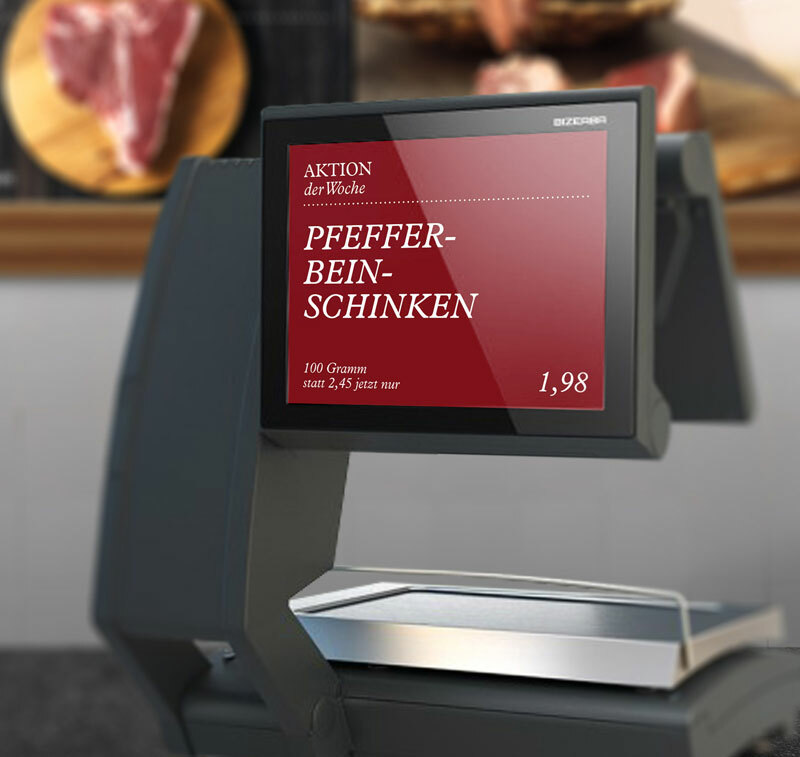 Relevant information based on store promotions and product availability - not only on the screens but also on the scales. The jt’retail CMS gives full access for managing and monitoring the whole application. 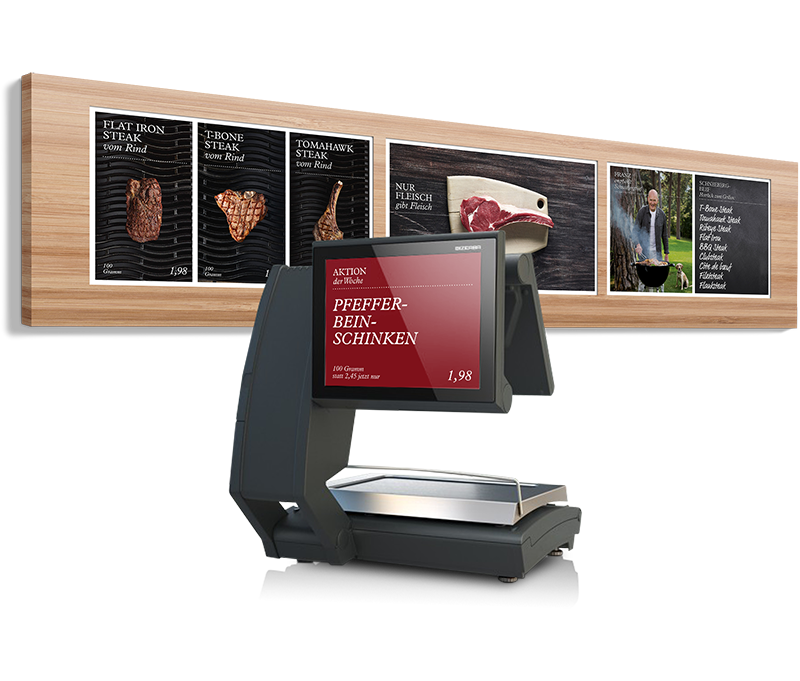 Predefined settings and templated facilitate the creation of new spots and clearly arranged overviews provide a status-info at a glance, from an overall-perspective down to each single screen. The cockpit is intuitive to use and easily accessible via webaccess for all authorized staff-members.